If you are trying to write a lesson plan for writing a movie summary, then chances are you may have run into a few road blocks. Movie summaries can be quite easy to write but not for high school students. So preparing a lesson plan for writing a movie summary for, let's say a high school literature class, could be quite a daunting task. For one thing, high school students are still novices in the literary world. So what would make sense to you regarding alluding to a movie's plot might end up being a complete spoiler for them. Review the literary elements of plot, conflict and theme as relative to short stories and other literary works. Have your students write summaries of books or short stories (novellas) prior to introducing the movie as a literary device. Be sure that your students are familiar with the tone and voice that a movie summary should include. Discuss how a movie summary is brief and quite different than a movie review. A movie summary, in effect, summarizes the plot of the movie without giving too much of the storyline away. It must be persuasive in that it must encourage the audience to want to go and see the movie. Most of all a movie summary is brief. Encourage students to review movie summaries at websites like www.moviefone.com as well as the summaries that may be at www.rottentomatoes.com. Doing this will give them a better idea as to what to include in a movie summary. Listen to the dialogue within the movie to better understand the plot and true theme. Encourage students to take notes during the movie. Bulleted points will help them to better write a summary of the film. If you had the students watch the 2002 version of The Count of Monte Cristo after having read the original book by Alexandre Dumas, then you will be giving them an extra added advantage when it comes to writing the summary of the movie. While both works were similar, parts of the book were left out of the movie. Tasking the students with this challenge in your lesson plan for writing a movie summary will be both interesting and invigorating. Keep it brief. Outline the innate objectives of the task by incorporating tidbits from former lessons on literary plot, reviews, and summaries from former books that were performed. Disclose the differences between a movie summary and a movie review so that your students do not get confused. Show examples of good movie summaries. Tell how such summaries are brief, concise, to the point, and are both enthusiastic and persuasive often inspiring the audience to want to see the movie. Set aside any materials which you may need. For example if you are showing a movie you will need a television, and either a VCR or DVD player. You will also need to select the movie that you will be showing the class. Furthermore, you should also provide the students with notebook paper, pens or pencils. Encourage the students to make a bulleted list for better note taking. This will make it easier for students to draw summary points from the movie. Write up your formal procedures and objectives. What do you want the students to learn? What is the purpose of the lesson? Disclose how you will collect the summaries and grade them. If you stick to these steps you will have a rock solid lesson in place for your proposed movie summary writing activity in no time at all. "Lesson Plan for Writing a Movie Summary." YourDictionary, n.d. Web. 25 April 2019. 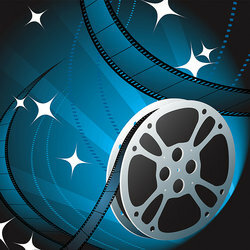 <https://education.yourdictionary.com/for-teachers/lesson-plan-for-writing-a-movie-summary.html>. If you are trying to write a lesson plan for writing a movie summary, then chances are you may have run into a few road blocks. Movie summaries can be quite easy to write but not for high school students. So preparing a lesson plan for writing a movie summary for, let’s say a high school literature class, could be quite a daunting task. For one thing, high school students are still novices in the literary world. So what would make sense to you regarding alluding to a movie’s plot might end up being a complete spoiler for them.